Deborah Fuhr a partner at ETFGI, an independent research and consultancy firm. ETFGI's annual paid subscription service provides 1) a monthly global report which includes over 200 pages of charts and analysis on the global ETF and ETP industry covering fund flows, provider, index provider, exchange and broker rankings basis, 2) a monthly directory of ETFs and ETPs and 3) the ETFGI database web tool on a country, regional or global basis to allow investors to find and compare ETFs and ETPs across various characteristics. 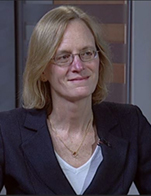 She was the Global Head of ETF Research and Implementation Strategy and Managing Director at BlackRock/BGI from 2008 - 2011, a Managing Director and head of the Investment Strategy team at Morgan Stanley in London from 1997 - 2008. ETFGI won Best ETF Research 2012 in the ETF Express awards. In 2012, 2009, 2008 and 2007, Ms Fuhr was named as one of the Top 100 women in Finance, by Financial News.